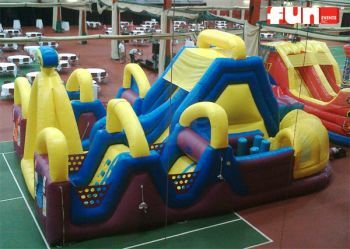 2 Players race simultaneously against each other or just go for fun in this crazy and chaotic inflatable obstacle course. 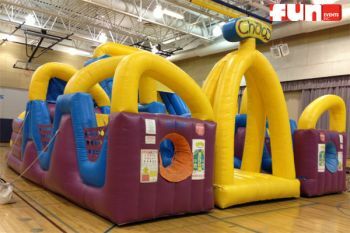 First you dive through the entrance, climb over a mini wall, then SqueeeeezE your way through a series of chambers and pillars, crawl through a tunnel, then climb to the top of the rock wall and make your way down the enormous slide. It's chaos.